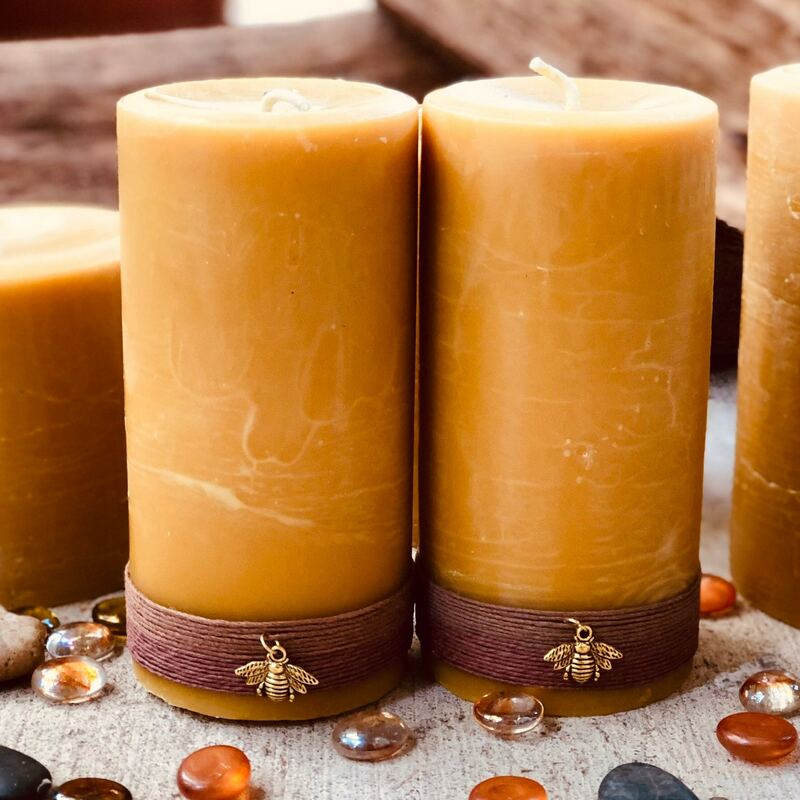 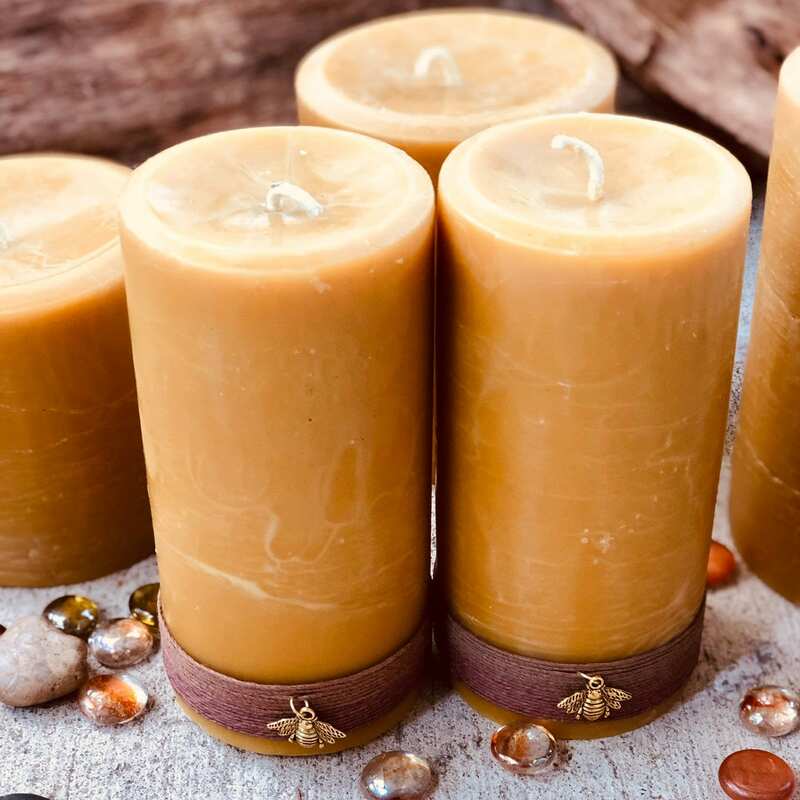 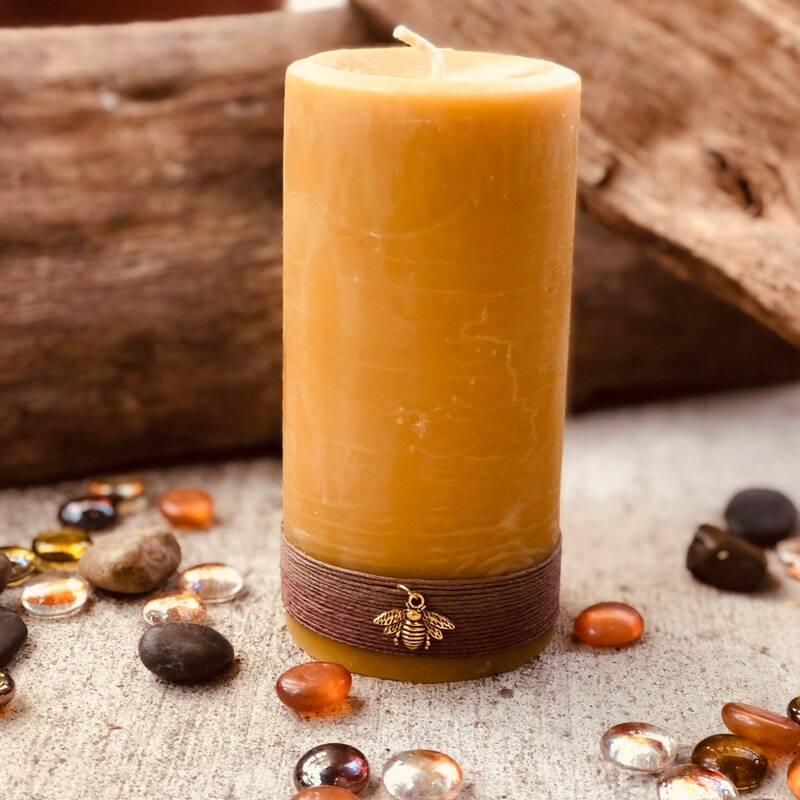 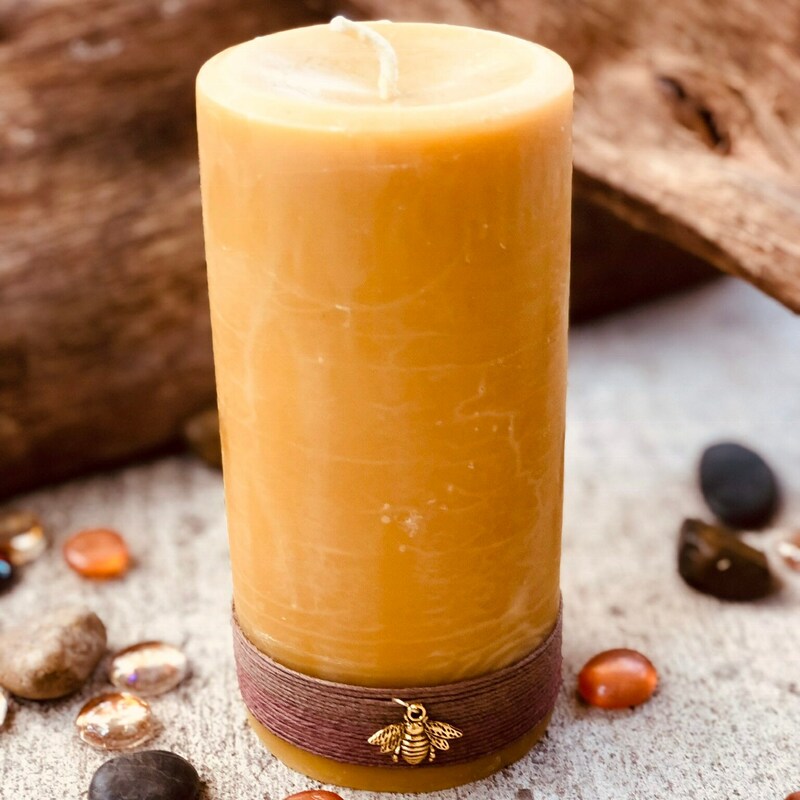 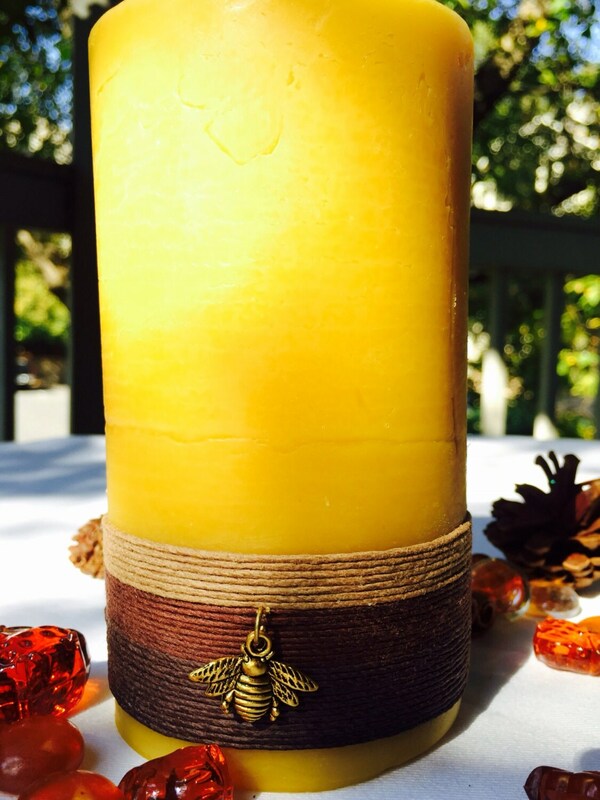 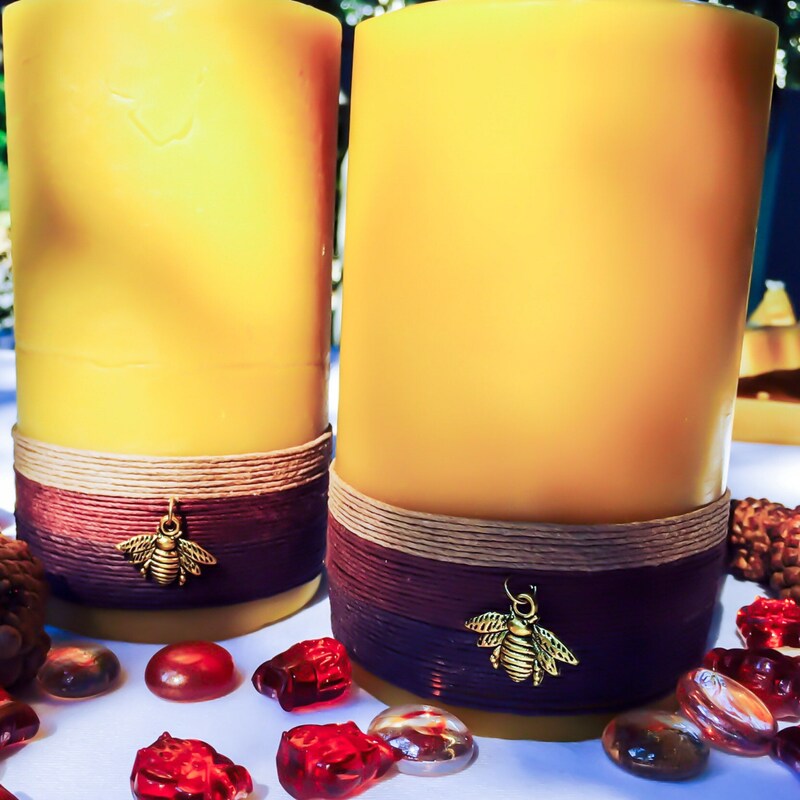 This beautiful organic pure beeswax candle is wrapped in an all natural hemp cord and affixed with a golden honey bee charm. 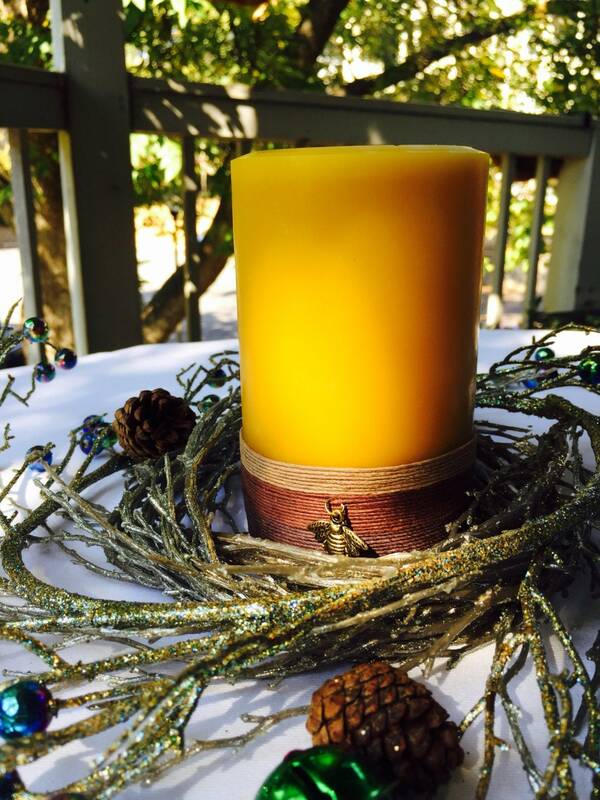 This candle makes a great gift or a gorgeous addition to your own home. 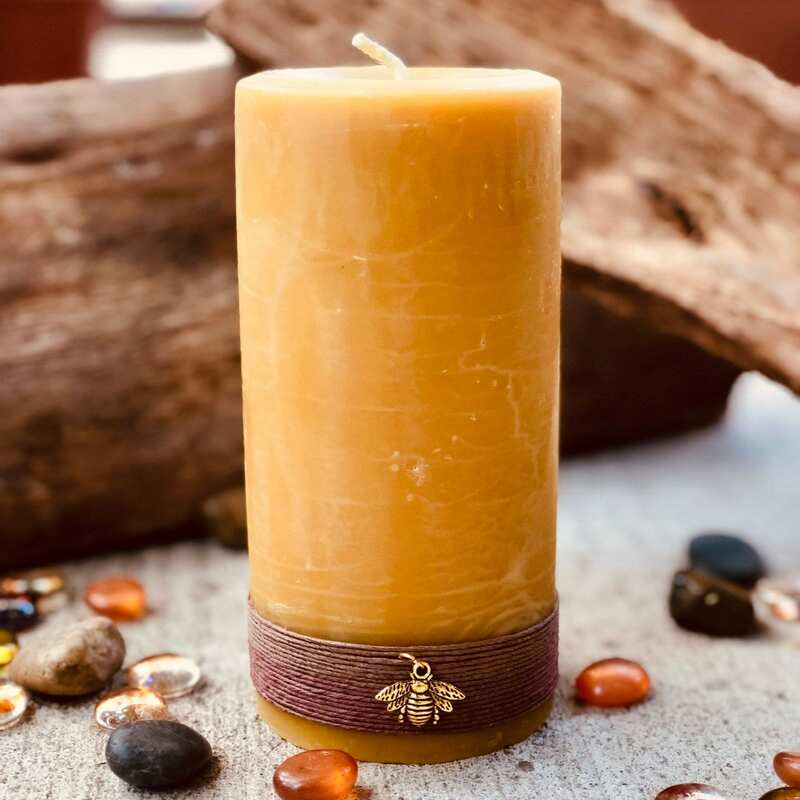 This candle is 100% pure Georgia beeswax. 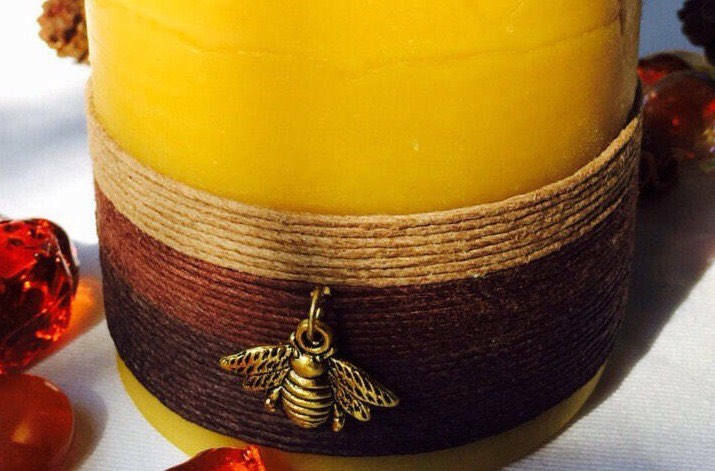 It is unscented other than the natural honey scent. 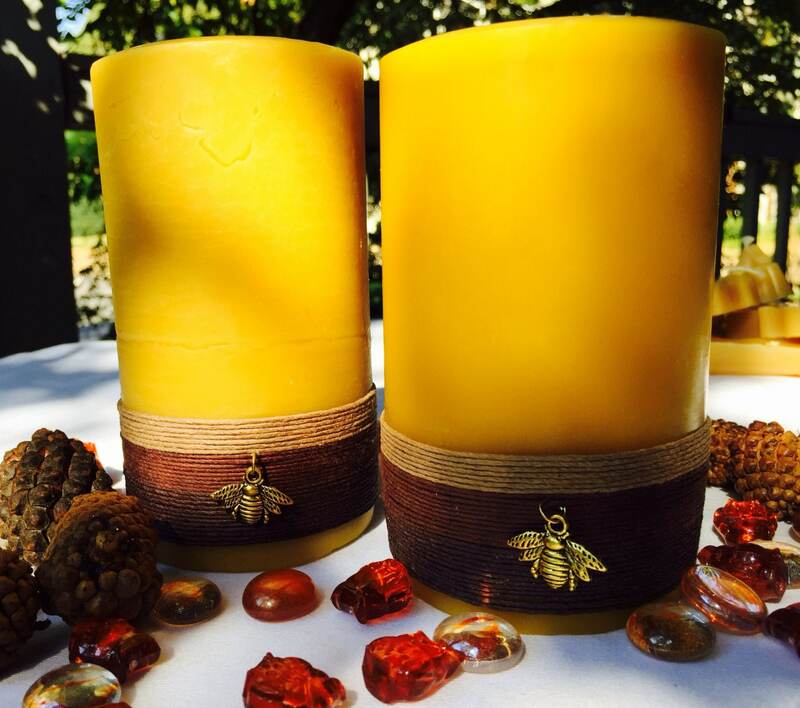 It is 3" in diameter and 5" or 6" in height.